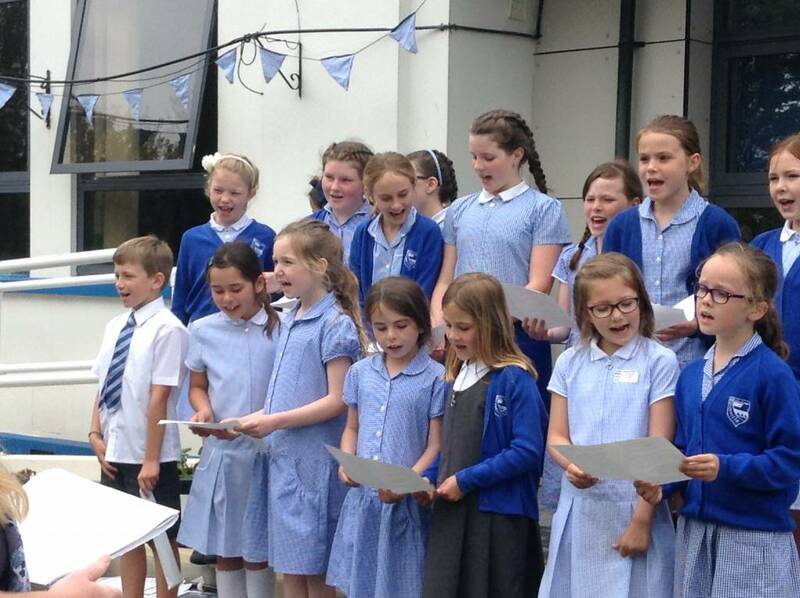 The Grouville Choir is for Girls and boys in Key Stage 2. We meet on a Thursday lunchtime for 30 minutes. We sing a variety of songs, we often sing in parts. At the beginning of the school year in September we start our Harvest songs. We sing for the Grouville Parish Church Harvest Festival in October. We then start learning our Christmas songs, we sing a mixture of carols and modern songs. We spend December singing at the Grouville Parish Church 'Christingle' Service. We also sing at some of the Care Homes in our local area. We sing at the Year 6 Community Christmas Party. Every January we sing for the Grouville Senior Citizens at their Christmas Lunch. Christmas is our busiest time of year but we have great fun and really enjoy spreading Christmas cheer.The rest of the year we focus on learning songs for our Celebration Day in June.